We strongly recommend that you use charter flights into camp. The company we use has an excellent track record and their local representative will be at your point of entry to assist you with custom’s clearance and baggage, as part of the “Meet and Greet” service. 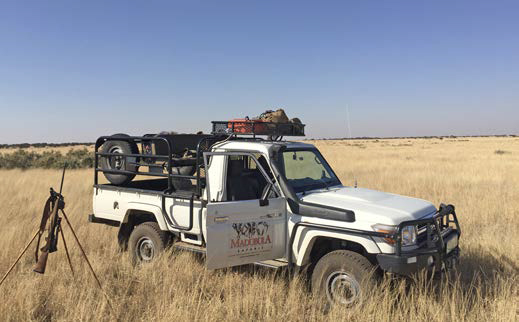 Each professional hunter has a fully equipped, well maintained four-wheel drive hunting vehicle. All vehicles include comprehensive first aid kits and tools to carry out field repairs. Back-up vehicles are available in all areas and all vehicles are equipped with two-way radios. 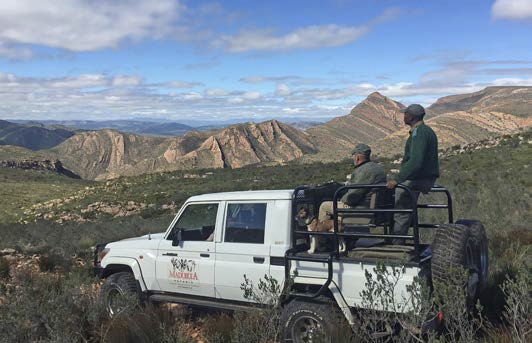 Due to the distance between some of our hunting areas, charter flights are recommended and can be discussed and booked on confirmation of your safari. Should you decide to drive between areas, suitable vehicles will be hired, at your expense, for this purpose. One four-wheel-drive hunting vehicle will be provided per each contracted professional hunter. Should group sizes require the use and/or hire of additional vehicles this will be at the client’s expense.